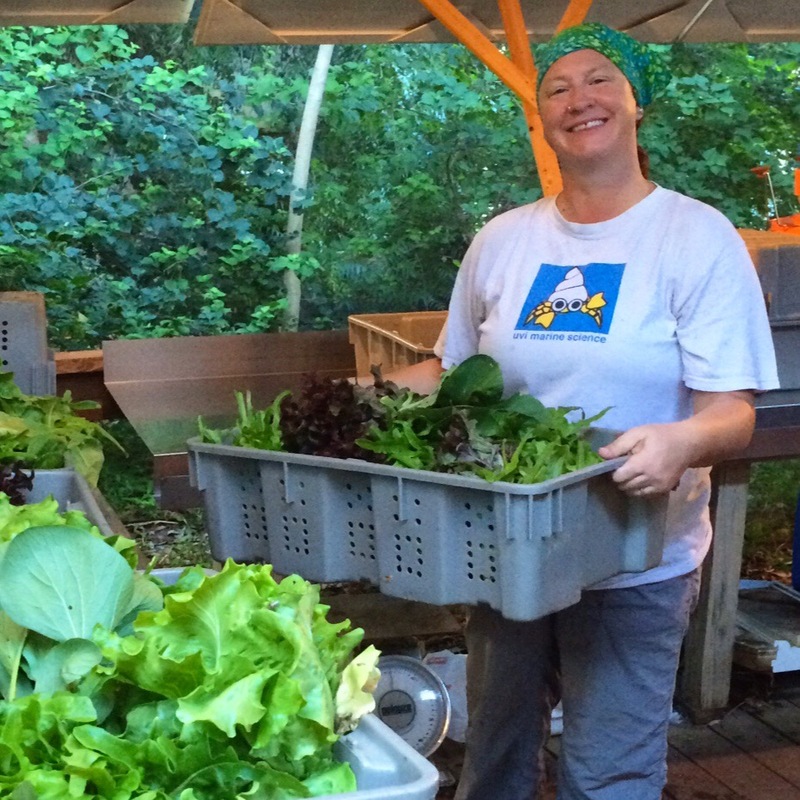 ARTfarm Monday Stand: 3–6 p.m.! Cherry Tomatoes Jubilee! “The cherries are finally really coming in! We should have enough for everybody today,” according to Farmer Luca. 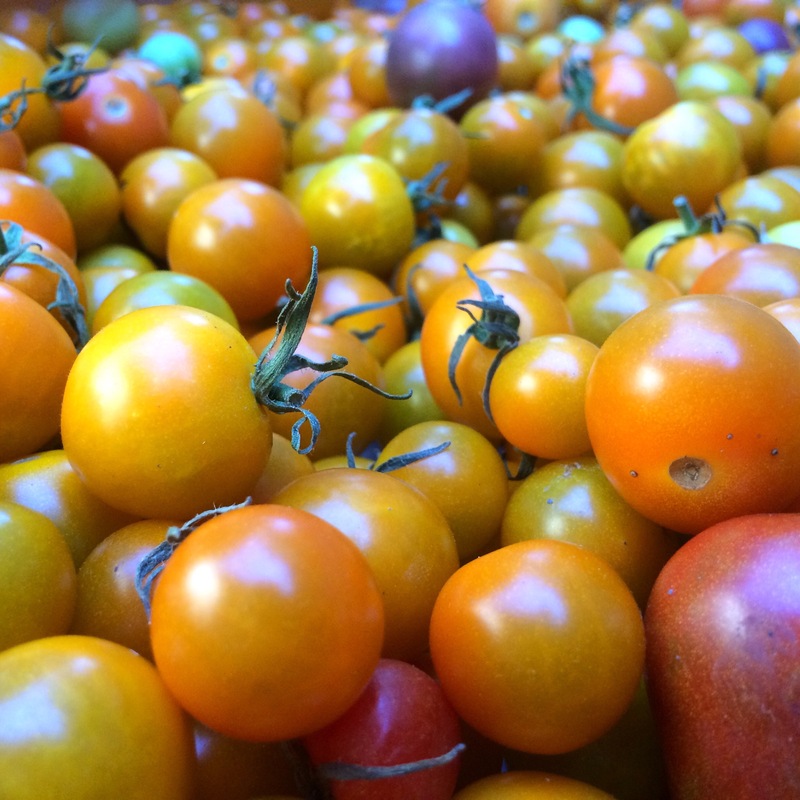 As a nice side to your giant bowl of cherry tomatoes, may we suggest any of the following: Sweet salad mix, microgreens, arugula, spicy salad mix, loads of cucumbers, a few slicer tomatoes, radishes with delicious edible green tops, cilantro, Italian basil, lettuce heads, and fresh cut zinnia flowers. We also have Errol’s beautiful raw dark local honey in small bottles. Perfect little holiday gifts. Don’t forget about Three Kings Day! We will be open on Wednesday, New Year’s Eve, special hours for you special people. We will be open in the morning as if it were a Saturday, 10 AM – 12 noon. According to Farmer Luca, the sweet corn will be ready on Wednesday. He’s been holding out on you guys, waiting for the peak of flavor and size on every ear. Jen and Joe are back on St. Croix for the winter and back helping out at ARTfarm! We’re thrilled to have them around!